An unconfirmed penicillin allergy is known to confer significant risk to patients. Only a small minority of patients labeled with penicillin allergy will be confirmed to be hypersensitive with the current reference standard test, an oral amoxicillin therapeutic dose challenge. Skin testing has been recommended prior to oral challenges to reduce the risk of severe acute challenge reactions. The rate of severe acute anaphylactic reactions with oral amoxicillin is currently extremely low. Unfortunately, penicillin skin testing, as commonly performed, has a high rate of false positive results. 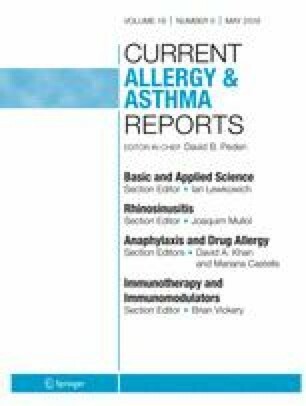 Encouraging skin testing in all individuals with an unconfirmed penicillin allergy, prior to a confirmatory oral challenge, would be technically difficult, make testing all individuals with an unconfirmed penicillin allergy very unlikely, and ultimately increase the risk to patients because of suboptimal antibiotic use. Most patients, who are appropriate candidates for a direct oral amoxicillin challenge, to confirm current penicillin tolerance, can be safely identified by their clinical histories. Higher risk individuals, those with a history of anaphylaxis or other acute onset potentially IgE-mediated reaction such as hives within 6 h of the first dose of the last course of a penicillin, may benefit from properly performed puncture and intradermal skin testing, using commercially available penicilloyl-polylysine, prior to an oral challenge, if skin test negative. Direct oral amoxicillin challenges in low-risk individuals are well accepted by patients and a safe and effective part of penicillin allergy delabeling. EM is a partner in the Southern California Permanente Medical Group. EM has received research support from the Southern California Permanente Medical Group, grants from ALK Abello, Inc. to study adverse drug reactions, and has served on clinical trial safety and monitoring committees for BioMarin, Ultragenyx, and Audentes.